This group would include people not only mad about renewable energy, but who have creative ideas and want to experiment with new technologies. I checked this web site after a gap of a couple of days. I am delighted to see two members besides myself. A warm welcome to you Asad Alam and Masood Noor. Asad, I see that you are in Karachi. I would love to get together with you when I visit Pakistan next time--hopefully soon. I also see that you are working in the field of computer engineering. But you are interested in renewable energy. Have you experimented with flat panel solar collectors? Same question to you, Masood Noor. I find it so ironic that countries that are poor but are blessed with a lot of renewable energy sources spend insane amount of money in oil. There are so many factories in Karachi that use boilers. But i don't know of any that uses something as simple and obvious as a solar thermal pre-heater. It breaks my heart. Enough from me. I would like to hear from you guys. Started by salim mastan Oct 21, 2008. 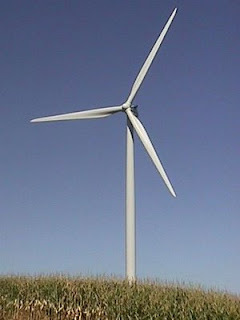 Looking for the latest in renewable energy? Started by Ali Hasan Cemendtaur Sep 22, 2007. Started by Ali Hasan Cemendtaur Sep 19, 2007. Pakistan is badly facing the Shortage of electricity particularly in these days. 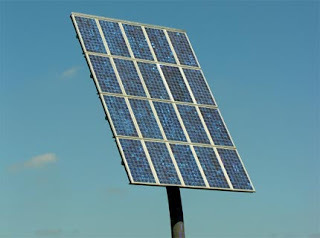 I am of the view that its solution is to develop on fast track basis renewable energies here. I am working as a Consultant for Renewable Energies in pakistan. Any one interested to invest in pakistan in renewable Energies like hydro, Wind and Solar, do contact us. I invite you to read my blog post on how Pakistan can develop utilize renewable energy options to deal with its ongoing energy crisis. While there is a lot of talk and discussion about renewable energy, where can we go for some clear, practical and pragamatic advise on becoming m,ore energy conscious in our homes and also how can we practically help Pakistan in developing alternate energy sources. As Pakistan suffers its worst energy crisis in history, I was curious as to the role NEDUET might be playing to alleviate it. Department of Environmental Engineering, NED University organized a Seminar on “Bio diesel – Alternative & Clean Fuel for the Present and the Future” held on July 03, 2008. The seminar was arranged within a short space of two weeks notice. It was extremely positive to note the response received from Pakistan State Oil and TMT Ventures Limited to participate actively in the programme. In addition, plenty of organizations interested in bio diesel research and development were contacted and many of them responded by sending at least one representative to attend within this short space of time. It was felt that the purpose of the seminar to keep the research culture in harnessing alternative and renewable forms of energy alive was shared by many organizations in Pakistan. Some representatives traveled all the way from Islamabad to contribute to the programme (such as one representative from Pakistan Agricultural Research Council). The success of the seminar is highlighted in the latest press release (the Daily Jang dated 4th July 2008 and the Daily Times dated 5th July 2008 – shown in Annex-1). The purpose of these proceedings is to help keep the interest in bio diesel research and development activities in Pakistan alive and to reach out to all those who attended the seminar as well as to those who, for some unforeseen circumstances, could not attend at short notice. Research and development into renewable energy will only help Pakistan overcome future crises due to the ever dwindling reserves of petroleum throughout the world. After all, how much fossil fuels can this nation import? Isn’t it better for Pakistan to stand up on its own feet and develop its indigenous resources for harnessing renewable energy instead? Bio diesel is nature’s efficient way of storing solar energy in wild plants and all one has to do is extract it in the form of non-edible vegetable oils and process it into a fuel ready for immediate use in a compression-ignition engine. 6. Reduction of imported fossil fuel, thus saving our economy. Due to the current issue being discussed all over the world regarding a food against fuel crisis, this seminar was organized to highlight the fact that bio diesel is unlikely to contribute to this crisis. Pakistan having about 65% of its landmass being barren and marginal can benefit greatly from the growth of non-edible oil bearing plants for bio diesel production. As a consequence, the seminar was arranged to provide a “Food for thought” for participants as well as Government level policy makers that academic research endeavors in harnessing marginal land for bio diesel fuel production should not only be encouraged but an environment of industry – University linkage should be taken up on a priority basis. The basic theme has been highlighted that every country has to seek involvement in indigenous research which may evolve results for benefiting its future. The Programme delivery during the seminar contained enlightened discussions by various presenters and experts as well as active discussions by a major portion of a total of 170 participants who were present. Presence of the following organizations should be highlighted in particular:- Pakistan Agricultural Research Council (PARC), PCSIR Laboratories, Hamdard University, University of Karachi, Hino Pak, Pakistan State Oil, Sindh EPA, Sigma Motors, and Alternate energy commission. Photographs of the seminar in progress are shown in Annex-2. List of participants and their contact details are given in Annex-3. Per capita energy consumption of the country is estimated at 14 million Btu, which is about the same as India's but only a fraction of other industrializing economies in the region such as Thailand and Malaysia, according to the US Dept of Energy 2006 report. To put it in perspective, the world average per capita energy use is about 65 million BTUs and the average American consumes 352 million BTUs. With 40% of the Pakistani households that have yet to receive electricity, and only 18% of the households that have access to pipeline gas, the energy sector is expected to play a critical role in economic and social development. With this growth comes higher energy consumption and stronger pressures on the country’s energy resources. At present, natural gas and oil supply the bulk (80 percent) of Pakistan’s energy needs. However, the consumption of those energy sources vastly exceeds the supply. For instance, Pakistan currently produces only 18.3 percent of the oil it consumes, fostering a dependency on expensive, imported oil that places considerable strain on the country’s financial position, creating growing budget deficits. On the other hand, hydro, coal, wind and solar are perhaps underutilized and underdeveloped today, as Pakistan has ample potential to exploit these resources. You need to be a member of Renewable Energy Buffs to add comments!